MB&G’s Geospatial Services Group offers a wide range of GIS and remote sensing services and solutions. A key enhancement to MB&G’s technical capabilities was the establishment of the Geospatial Services Group (GSG) in 2010. 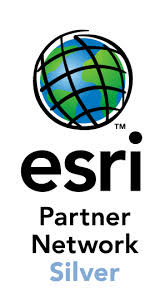 While MB&G has been providing GIS services to our clients and has been an Esri business partner since 1998, with the establishment of the GSG, the company made a commitment to significantly enhance our overall geospatial capabilities. The GSG includes software architects, developers, project managers, database analysts, GIS and image processing analysts, and technicians, who together, have more than 80 years of combined experience working on projects that range from a few thousand dollars to millions of dollars spanning multiple state, private, and federal clientele. Expertise includes a wide range of technologies and analysis methodologies, such as geospatial needs assessment and requirements analysis, field and imagery data acquisition, Light Detection and Ranging (LiDAR) processing, remote sensing including automated image classification, geospatial information extraction, data and database management, spatial analysis, mobile; desktop; and web based enterprise software application development, environmental modeling, training, and onsite staff augmentation. We place a high importance upon staying current with technology, and specifically software technology for enterprise, mobile and geospatial development, so that we can provide expert consulting in these critical areas to our clients. MB&G offers services that address a complete systems life-cycle or individual life-cycle components as required. Our rich history with developing and implementing GIS systems provides an ideal complement to IT groups that specialize in enterprise implementations. Our ability to bridge the gap between geodatabase design and software development is necessary to properly integrate industry IT approaches with geospatial data processing requirements. Our services are structured to support large-scale on-site implementations, outsourcing and project based implementations.